It should come to no surprise to regular readers of the Launch Pad that registration in the $30,000,000 Google Lunar X PRIZE is closing soon--all potential teams must have their applications in by the end of this year. We've been blogging, vlogging, and tweeting about this a lot lately--our goal is to ensure that every credible potential team is aware of the deadline, and that we don't get any emails in January or beyond from folks looking to join the competition. Your assistance in spreading the word is always appreciated. The global space exploration community--and those who hope to join the global space exploration community--seems to have read our message loud and clear, because applications and Letters of Intent to compete have been flowing in. Today, we'll accept a new team's Letter of Intent to Compete--essentially a partial registration that allows the prospective team to build credibility with potential partners, employees, investors, and sponsors. 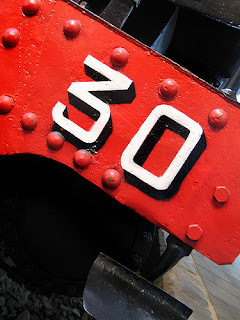 That new team will be assigned the team number of 30. As we cross that nice round number, and as we anticipate the registration deadline that's only two and a half weeks away, I thought it would be interesting to take a look at the numbers and statistics behind registration in this, the world's largest ever international incentive prize competition. First, I'll begin with a word about Team Numbers, as they are not as simplistic as they sound. Whenever a team registered to compete for the Google Lunar X PRIZE, they are assigned a number; numbers as assigned sequentially based on the order in which we receive complete application. Teams surrender that team number if they withdraw from the competition or merge into another team; in that case, the Team Numbers for other teams--those that joined later on--are adjusted. Finally, by submitting a Letter of Intent to Compete, teams essentially save a spot in line: they are given a Team Number that is good if they complete their registration within the next ninety days; if not, they move to the back of the line. Team Numbers don't have a lot of significance; the most important consequence is that teams are listed on the Google Lunar X PRIZE website and other places in order by Team Number. If you look at that website, you'll see twenty-four teams listed (twenty current competitors and four former competitors. With that in mind, let's check out how we got to team number 30--and what that might mean for where we'll stand after registration closes. This stacked area chart (created in Google Docs, naturally, meaning you can hover your mouse over it and read the individual data points) shows the number of teams involved in the Google Lunar X PRIZE on the final day of every relevant month--with the exception of the final data point, which shows teams involved as of December 14th (today), rather than 31st, 2010. At a quick glance, you can get a sense of the ebb and flow of the competition as new teams enter, some teams exit, and letter of intent signatories transition into registered teams. So, as of today, we've got twenty-one registered teams, one of which has not yet been announced to the public, and nine Letter of Intent signatories. We also have a total of seven teams that have entered the competition and then either exited or been folded into other teams. What happened to the three teams that have withdrawn but that aren't listed on the team page of the Google Lunar X PRIZE website? One withdrew before being announced, one merged into another team before being announced, and the last is involved in on-going litigation that leaves them unable to give us permission to use their team name on our site. Probably the most interesting bit of historical data at the moment is our LOI conversion rate. With help from Nicky Jordan, our Team Liaison, I've gone back and run the numbers on that. Since the start of the competition, thirty-one teams have filed Letters of Intent to Compete. Those LOI signatories were / are based in Australia, Brazil, France, Germany, Hungary, Israel, Italy, Malaysia, Russia, Spain, the UK, the USA, and Venezuela. Of those thirty-one, seventeen eventually registered into the Google Lunar X PRIZE, five withdrew, and nine are still hoping to register before the rapidly approaching deadline. Ignoring the nine active signatories, then, we can see that our LOI conversion rate to date is about 77%. If that rate were to hold, we would expect about seven of our nine current letter of intent signatories to eventually register (note: it's entirely possible that additional teams may file a Letter of Intent, even given the impending deadline. Indeed, I think it's likely.). However, this ignores a potential systematic bias. Once a team has filed a Letter of Intent, there is essentially no reason not to renew that LOI at the end of each 90 day period; in so doing, the team incurs no additional expense, and keeps their window for registration open in exchange for deferring a refund of their LOI fee. Of our nine current LOI signatories, three have renewed their LOIs multiple times. If we assume they are less likely to register than, say, the team that just had their LOI accepted today--certainly an assumption, but probably a reasonable one--we start to get to effective acceptance rates closer to 68%. Still, that leads us with an expectation that, if statistics hold, six of those nine LOI signatories will fully register. That strikes me as a bit high--but who am I to argue with statistics?!? So, there you have it. Some hard data about registration in the Google Lunar X PRIZE. In addition to providing some awesome fodder for updates to the Google Lunar X PRIZE Wikipedia entry, hopefully we've given you some food for thought. It should be said that regardless of the number of those LOI teams that transition into fully registered competitors, we at the X PRIZE Foundation will consider the team recruitment phase of this competition an incredible success--as mentioned here previously, we initially hoped we'd be able to enroll a dozen teams. How many teams do you think will enroll? To make this a little more fun, and as a reward for those of you who have read this far, we'll send some stickers or similar swag to the person with the most accurate guess in the comments below--tie-breaker will go to the person who submitted the correct guess first. One guess per person, please. Good luck! Update: To clarify, we're looking for the number of fully registered teams we'll have after reviewing all of the applications. All of our current LOI signatories and any other potential teams out there will have to submit full applications by December 31 or bow out. We'll take a little while to review all of the applications we receive (the exact length of time will depend on how many we receive), and we'll announce a final number and our winner sometime in early 2011. Photo from Flickr user Tomas Fano, used under a Creative Commons License.